The shortest hole on the course. 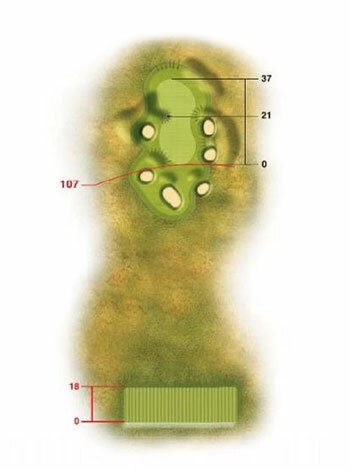 The green is narrow and surrounded by small hummocks and bunkers. An easy green to miss.